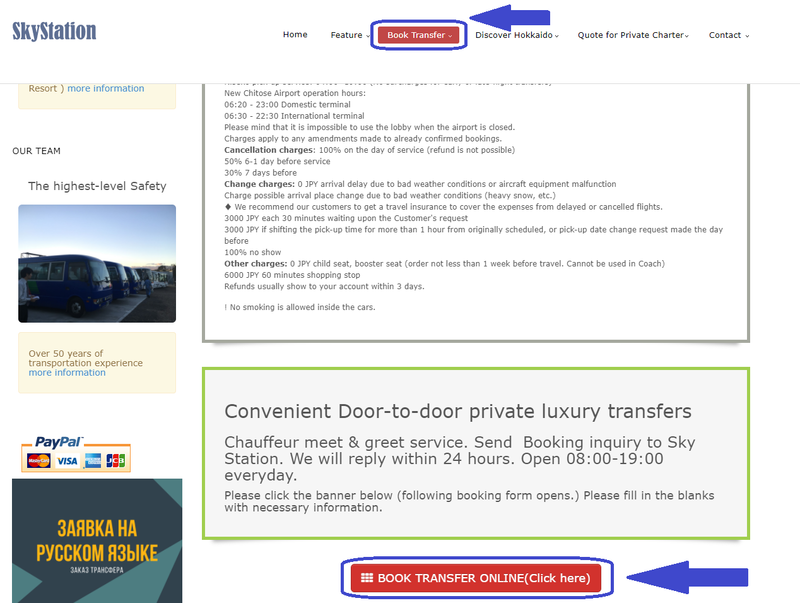 1) To book a transfer please choose a destination at the「Book Transfer」page and press the「Book Transfer online (press here)」button. 2) Transfer application page opens. Here customer needs to accurately fill in the blanks. Please fill in the desired transfer date (not the date of application!) 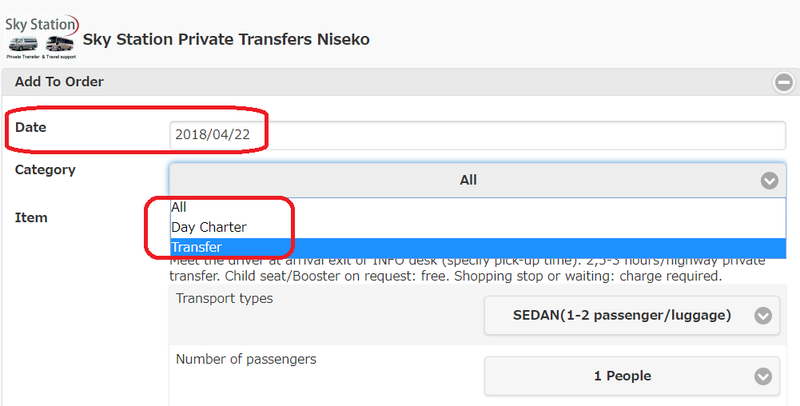 and choose the service category (Transfer or Day charter). 3) In the 「Item」category choose the desired destination. 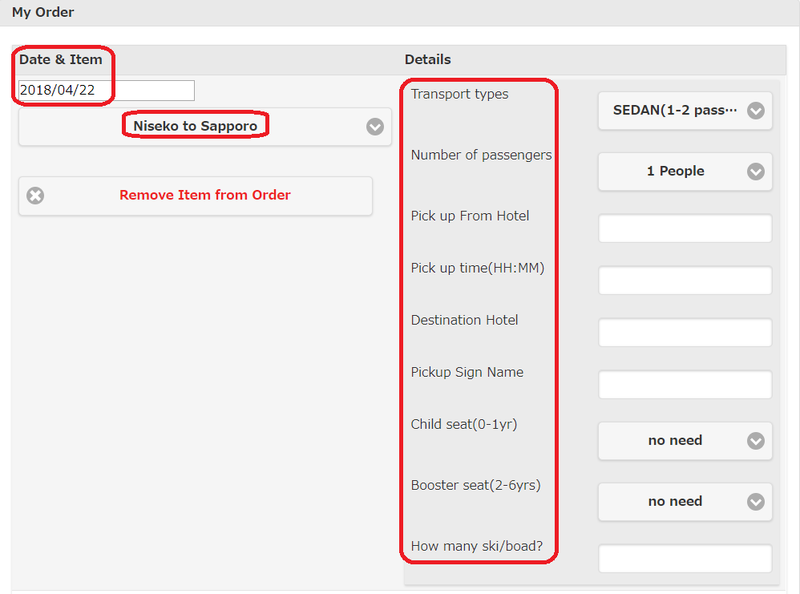 4) Choose the transport type resting upon the number of passengers and amount of luggage. 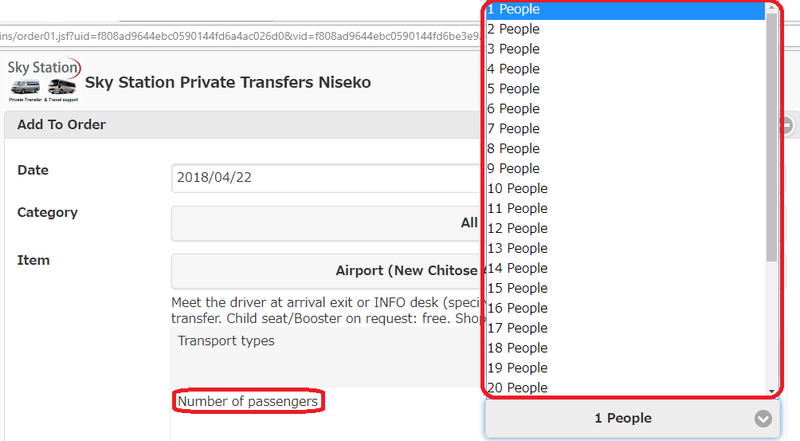 5) Specify the number of passengers. 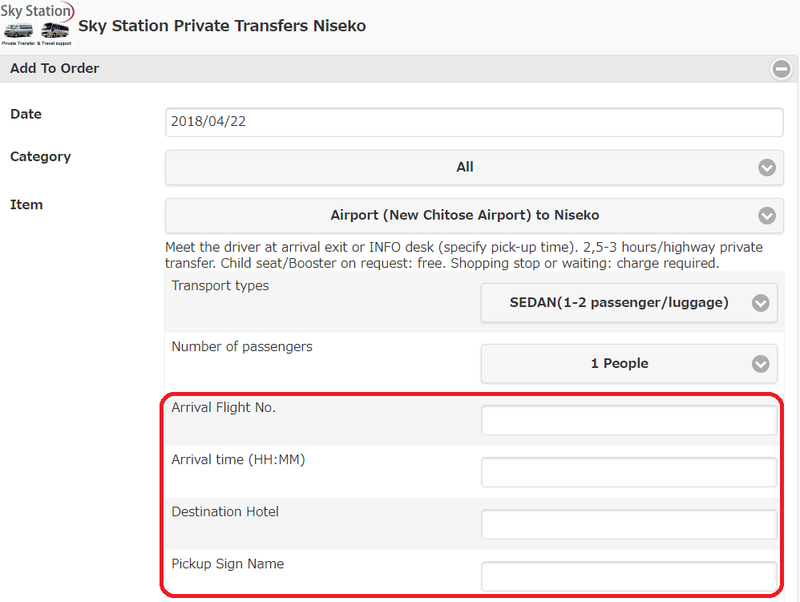 6) Please be accurate when entering the flight and hotel details. Transportation company checks the flight arrival time to be able to react immediately in case it is changed. Pick up sign name is the one written on the board which driver holds when meeting customers at the airport. Please make the pick up sign name simply recognizable and easy to remember for yourself. 7) Child seat or booster seat is provided upon request for passengers travelling with children. Please be accurate when choosing the type and number. 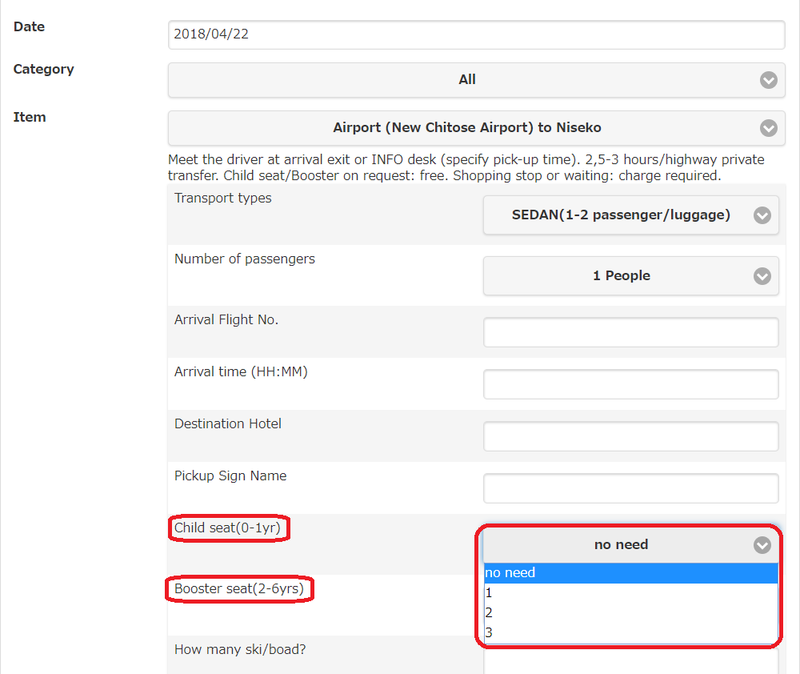 9) Kindly fill in the trip information. 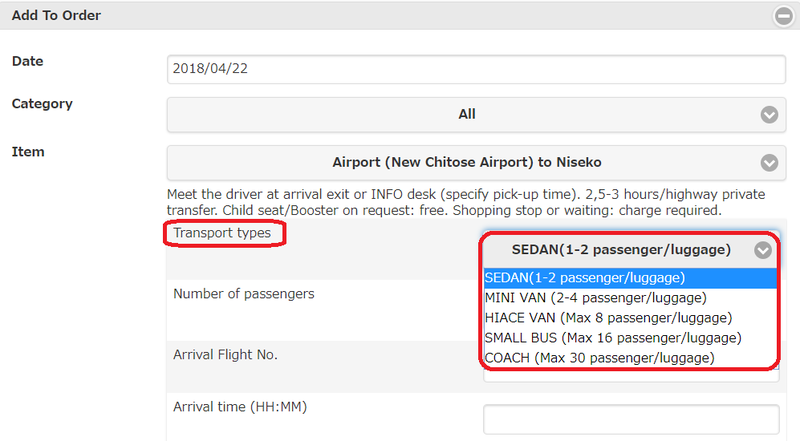 Please be accurate about the destinations, pick-up time and place details. 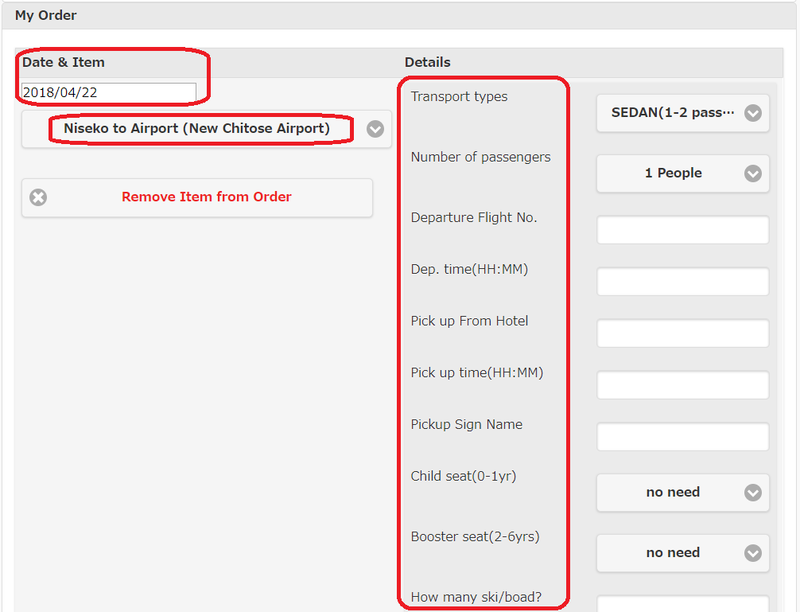 9-1) You can choose a trip back to the Airport as well as a trip to any destination shown in the drop list. 10) Kindly fill in the customer information. Please double-check for the misprints in the e-mail address you enter. 11) In case of special requests or instructions feel free to specify them in the 「Questions and instructions」message box. We will do our best to meet your expectations. 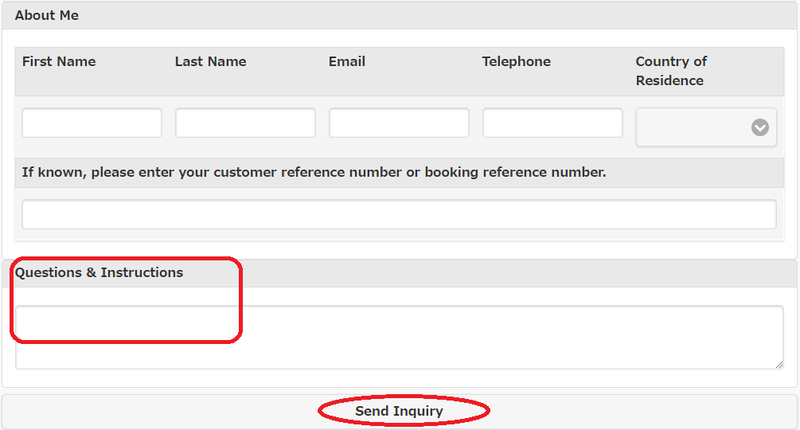 Press the 「Send inquiry」button to finish the order. 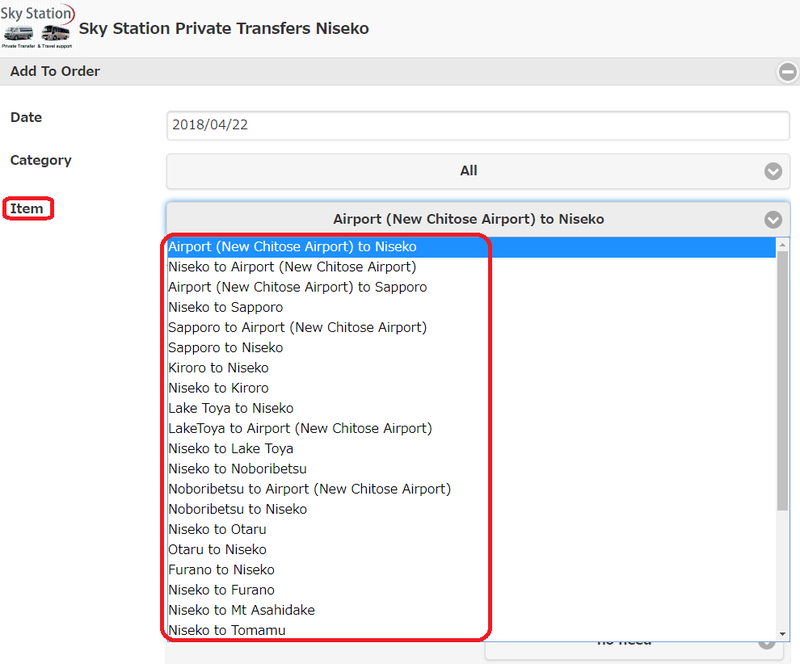 After sending a transfer booking inquiry to Sky Station you are going to receive a reply to your e-mail within 24 hours.